If money is the root of all evil, then the lack of money is the root of most dilemmas. Should I get this tooth filled or buy new tires for the car? Can the air conditioner last another season or should we cancel our health insurance and buy a new one? With money, you can do it all. Without it, you have to make some hard choices, and this is where my husband and I found ourselves in early 2009. The stumbling economy had finally hit our family business. My husband’s electrical contracting business had come to a halt. His income depended on the health of the construction industry, and you may have heard that Phoenix, our home town, was hit especially hard during the 2008-2010 recession. The phone didn’t ring for weeks at a time. Fortunately, I had seen the writing on the wall months earlier and had spent the previous year boning up on topics related to survival and preparedness. By the time our business phone line fell silent, we had about three months worth of food and supplies stored and a small amount of savings in the bank. More importantly though, a crazy idea for writing a blog had popped into my head one night, had blossomed and began producing some income. I’m going to share with you what I did to earn this extra money and show how you can do the same thing. Food and water storage. Bug out bags. Evacuation plans. Firearms. This was new territory for me, a somewhat spoiled suburban mom whose favorite hobby was trying out new restaurants. I spent hours researching on the computer, and then turned around and applied what I learned to our home and family. Our first venture into food storage started with loading up two grocery store carts. I put together a 72 Hour Kit, finding most everything I needed tucked away in drawers and garage cupboards. I compiled a list of important documents that would soon come to be known as my Grab-n-Go Binder. It was exciting to realize that I was doing something proactive to help my family. There were questions, though, that remained unanswered. How could I teach my kids about preparedness without scaring them? What were other moms doing to prepare? How could I hold my fears at bay while focusing on preparing for an uncertain future? The masculine survival sites I had been studying didn’t have answers to my heart-felt questions. I remember the exact moment I had the idea to start a blog called The Survival Mom, and within 24 hours I had claimed TheSurvivalMom.com as my very own and was researching how to start a blog. I had no idea where to start or what to do first. I was a complete novice. A dinosaur, really. I knew what I wanted to write about: survival and preparedness from a mom’s point of view. I knew I would be reporting on what I had been doing myself as the original Survival Mom and writing in a way that would be encouraging and supportive, not fear-filled or hysterical. My purpose and goal were defined. WordPress was the best blogging platform for what I had planned, and I spent a good 48 hours figuring out how to download and then install it on my computer. (I’m not exactly a quick study.) That was the easy part. Nothing worthwhile is ever easy! Blogging is a world unto itself with its own language: SEO, backlinks, split testing, affiliates, Google analytics, page rank and HTML. I thought I was computer savvy, but this was way out of my league. Fortunately, professional bloggers such as Darren Rowse, Pat Flynn, and Brian Clark freely share training and tips for successful blogging. To this day, I return to their websites to learn more. Admittedly, I felt like one of those 80 year-old grandmas who go back to college. For the most part, blogging is filled with 20- and 30-somethings. Heck, I was even learning from teenagers! It was a humbling but necessary part of my education. What helped my blog get off to a fast start was not its appearance or any advertising, it was the fact that I was writing. A lot. TheSurvivalMom blog became my new part-time job, and I was fully committed to making it a success. Quickly, I produced a large number of articles, and as it happened, the timing was perfect. Preparedness was becoming a hot topic and “preppers” was a word Americans would soon hear on the nightly news and on reality TV. I was a prepper, whether I realized it or not! Nothing beats having the right idea at the right time except for the right person having the right idea at the right time. I guess I was the right person in this particular niche. No other blog or website was solely focused on moms and their concerns for the future and their desires to become self-reliant. Most moms are quite naturally preparedness minded, so I had a ready-made audience. It didn’t take long for my blog to begin gaining attention. American Preppers Network began posting some of my articles on their site and I was invited to write exclusive articles for them as well. Other big blogs began doing the same. As a novice, I didn’t realize that guest posting for popular blogs and websites is a great way to get your name noticed and to generate traffic to your own blog, but that’s what began to happen. I was even interviewed by Newsweek magazine, which generated even more traffic and attention. Money was tight and getting tighter, so when I spotted the headline, “YOU can make money by blogging!” it caught my attention. If there was money to be made with my primitive blog, then I wanted to learn how. This was easier said than done, and I was faced with yet another steep learning curve. An easy first step to begin earning money is to sign up as an affiliate with Amazon, and that’s what I did. By featuring Amazon products on my blog and inserting my affiliate link, I would earn a whopping 4% of the purchase price! Hardly time to start making retirement plans, but it was a start, and was a good fit for my blog. I often talk about helpful products and books, and Amazon carries nearly every product imaginable. It took a few weeks, but one day I checked my affiliate stats and discovered that some precious, blessed soul had purchased two books! I had made my first dollar! Amazon is an excellent place to begin because of the wide range of products and the “stickiness” of their website. Admit it: once you arrive at the Amazon website, you continue clicking on other products! Over time, I signed up as an affiliate with other companies and with other bloggers who had written and published e-books. The affiliate business model is an excellent one. When I find a product I love, I mention it to my readers, and when they buy it, I earn a small percentage of the sale. My first advertiser came aboard a short time later. I had learned how to base my advertising rates on blog traffic and page views, and set my price at $75 per month. This advertiser wanted to pay a year in advance; I thought I’d died and gone to money heaven! Other advertisers were added in the coming months, always companies I had either personally done business with or had a stellar reputation in the survival/preparedness community. I made a point to speak with the company owners by phone as a means of establishing a relationship. Some of these have become friendships. That email changed my life. I followed his instructions and wrote three chapters and a proposal. He shopped it around to various publishers and sold it in December, 2010. I was on a beach in sunny Southern California when I got the news. The day could not have been more perfect. Two years later, my book was published by HarperOne. It feels great to be a published author, but I can’t forget that it was the blog that opened the door. My agent noticed my blog and saw that I was a committed writer and could produce well-written material on a regular basis. Agents stay on top of trends and he knew that survival and preparedness were becoming more popular by the day. He also liked the tone of my writing. Without a doubt, my humble blog was responsible for my book becoming a reality. Going forward, my goal is to stay committed to the blog, write a second book, and enjoy the journey! It’s less about the money and more about finding a path that is personally fulfilling and compatible with family life and commitments. Could blogging for income work for you? If you are a homesteader or have self-reliant skills and knowledge, you, too, are a hot property! Canning, gardening, off-grid living, and wilderness survival are some of the hottest trends around. Self-reliance is also the latest reality TV mania, with new shows being developed constantly. Why not jump in and see if my story can become your story? 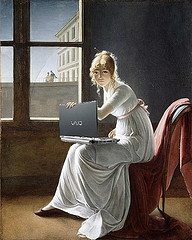 What skills do you have that might transfer to a blog? Can you write about what you do or share what you know? It may sound strange, but once you begin writing about a topic, you’re perceived as an expert, an authority. Once you’ve decided on the name for your new blog, capture the domain url from a company such as GoDaddy or Host Gator. Two popular blog platforms are Blogspot and WordPress. Choose one, follow the directions on the site, and start writing. Sites such as Copyblogger and Problogger can teach you the ins and outs of blogging, such as how to attract readers and write headlines that command attention. There’s a lot to learn, and you’ll be spending hours on your new venture. If you’re an entrepreneur like me, however, it will be a labor of love, especially as you begin seeing a stream of new readers visiting your site. I loved what I was writing about. I loved the fact that I was helping people, and I loved creating something completely new that was all mine. Passion is the fuel that pushes everything else forward and finding the One Thing that inspires and motivates you, month after month, is critical. For me it was family preparedness and survival. It took dozens of hours just to get the blog set up, to learn about the WordPress platform, and to write my initial posts. It took hours to learn how to join affiliate programs and manage advertising. It’s best to start a blog when you have a block of time on your hands, and a good internet connection! 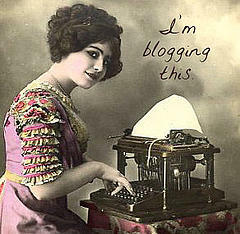 There are well over 150 million blogs in existence, with new ones being added each day. I’m sure there are thousands that are either deleted or abandoned each day. It’s tough to produce high quality material week after week. The world of blogging and the opportunities offered by the internet continue to evolve. There is always something new to learn, and, just as importantly, new things to learn in your area of expertise. Once you write about canning, for example, month after month, you may begin to think you’ve said everything that needs to be said! That’s the moment to challenge yourself to try new recipes and advance your learning. If you push yourself to stay fresh, you’ll continue to attract people to what you have to offer. One final element to success as a blogger is old-fashioned hard work. It wasn’t easy to learn the basics of blogging or to churn out dozens of articles in the first several months. The final product was worth it, though, and then some. I have a fun new career that challenges me daily, my family has an extra bit of income that covers necessities and occasional luxuries, and it all started with a simple blog. Read your book and loved it, and I enjoy checking in on your blog from time to time. I usually don’t comment anywhere on the internet, but there is a mistake in the first sentence of your post. No one ever said money is the root of all evil- the quotation is “the LOVE of money is the root of all evil.” I realize this disrupts the rhythm of your post, but hey, misquotation is misquotation. I have loved your blog for a long time and I refer people to it all the time, especially now . . . after the election! The election made me take a look at what we do have in storage and what I would like to change and what I need to re-stock. Yikes! I feel like I fell asleep for a little while there. Thanks so much for the work you have put into this blog – I still want to read your book, but haven’t bought it yet. You’ve helped so many of us mom’s that want to be able to provide for our families in the hard times to come and I appreciate everything you will continue doing! PS. on the Survival Mom Blog ring page my web address changed – I moved it to wordpress a while back. http://strobelshappenings.wordpress.com/ I have forgotten to let you know for a long time. I haven’t been blogging much lately though. Too much other stuff going on these days. I’ve recently quite using labels on my blog, since Blogger has made it so much trouble by trying to “help” me find the right word. Do you use any sort of labels to draw traffic? Hi Lisa- thanks for sharing your learning with us! It’s great that you are a mom who tried blogging and had great success. My blog is still a “baby” (only been up for a week) but I am having lots of fun with it. Also liked your story about what you would have done differently- helps people like me think things through a bit more in advance and learn from you. Election Day just about put me in touch with a mental therapist, so I was so happy to have Survival Mom to turn to!! I have loved your blog since Glenn Beck turned me on to it. I like your book so much that I have tabbed parts that are of particular help to me. I am trying to do what so many others are; getting a more resilient and self controlled lifestyle. From food supplies, to off grid power, to my own garden-every self sustaining step makes me feel happier, lighter, and master of my own destiny. Thank you for being my mentor! I am new to all of this but i started thinking in depth a few months ago and was wondering if you had advice for a novice on where to start the preparedness. I coupon and just started stocking up but have very limited space. I am pretty self reliant we live 10 miles from the nearest town. Great story, Lisa. I doubt I will ever make money with my blog, but my motivation was more in the learning of prepping skills. Although, I have made a whopping $8 so far! I think you are right when you say that a big difference for your blog was the amount of content you have. It is great! Thank you for the inspiration! I’ve just begun writing a blog so this post really speaks to me! Great story for passion and dedication. I’ve been reading you blog for a long time and haven’t stumbled upon it until now. True inspiration for new bloggers and start-ups! I was advised to use wordpress and joined. But I felt like I understood one word in seven and even then they were using a different context. I know I’m not stupid, but I felt numb-brained when I tried to do that and eventually quit. 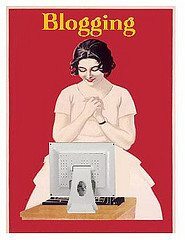 I would love to blog, but not if it gives me such headaches to set up the pages. I even tried to con one of my daughters into doing that part of it, but they wouldn’t! One example: I wrote down my username and password, taglines and all that, and even then it generally took me DAYS to log in. And when they sent me my password, cos it wouldn’t work, I was right! But it still wouldn’t log me in. But it’s not alone. I can’t get onto ATT or Viasat or Regions to pay bills etc, either. I always write it down, and it NEVER works. I think computers just hate me. So I gave up.